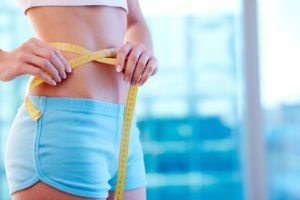 What is LipoLux Weight Loss? In the past, people who wanted to lose weight had to either exercise frequently and diet or even undergo invasive surgery. But now, the team at Cornerstone Chiropractic offers clients another solution: Non-Surgical Laser Like Lipo. Unlike exercise, this technology can spot-treat fat on problem areas such as the abdomen, thighs, and back. And unlike traditional liposuction, this treatment requires no anesthesia, stitches, or downtime. With the advances of technology, there is hope for getting rid of problem areas once and for all. Laser Like Lipo body sculpting was approved by the FDA as a safe and effective treatment option for weight loss and fat reduction. Read on to learn more about Laser Like Lipo body sculpting and how our office can help you on your road to success with your goals. Laser Like Lipo body sculpting is the latest technological breakthrough in fat reduction. You can lose those unwanted inches without surgery providing you an effective solution for stubborn, localized fat areas with no pain and minimal downtime. Using state-of-the-art Laser Like Lipo wavelength technology, this revolutionary treatment gently “melts” fat to help eliminate it from your body–for good! After treatment, the unwanted fat is naturally removed from the body through your digestive and lymphatic systems. You can treat fat on almost any area of your body with Laser Like Lipo body sculpting, but commonly treated areas are: the thighs, upper arms, love handles, chin, neck, buttocks, back and stomach. Treatment times will vary depending on what are you are treating and the severity of the area. During your consultation our staff will discuss discuss a body sculpting plan that is right for you and review any questions you may have.